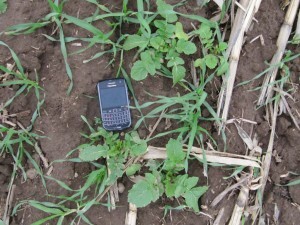 Many photos from the 2012 seeding can be viewed in the following pdfs: 2012 cover crop 1, 2012 cover crop 2. 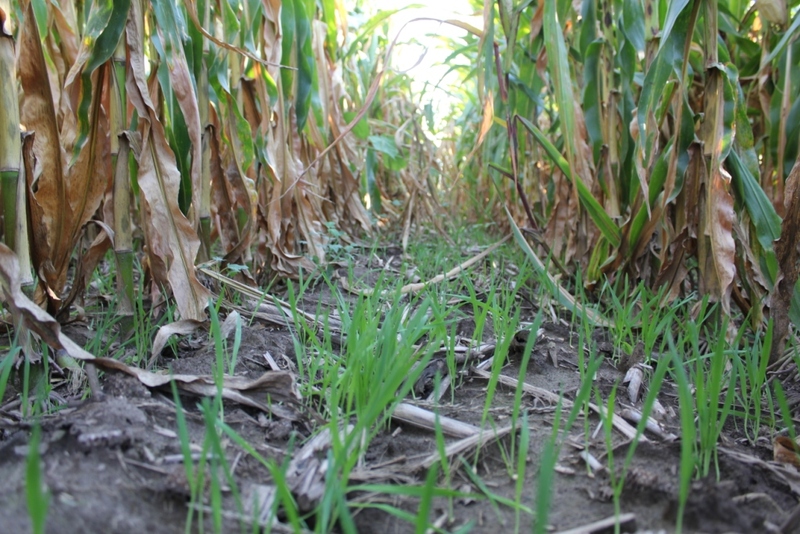 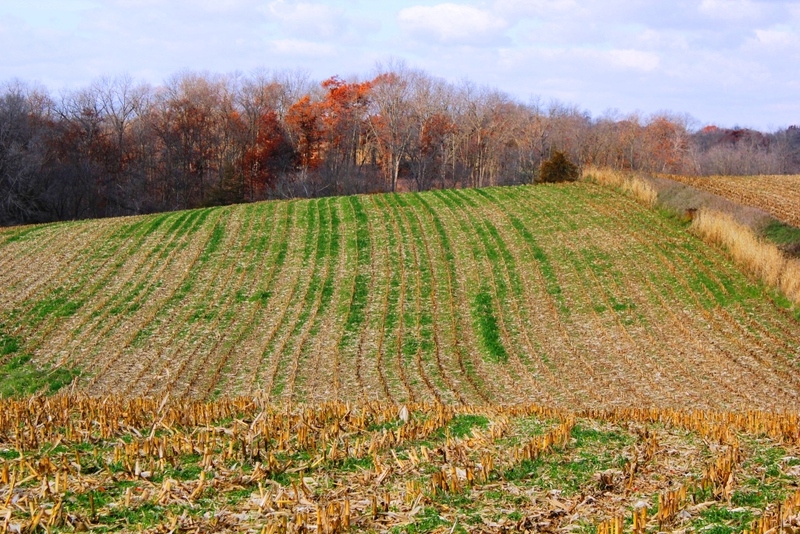 Adding cover crops to a farming operation can be a great way to reduce soil erosion, improve soil and water quality, scavenge residual nitrogen, and provide forage for livestock. 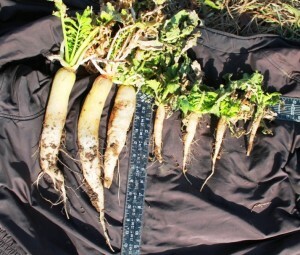 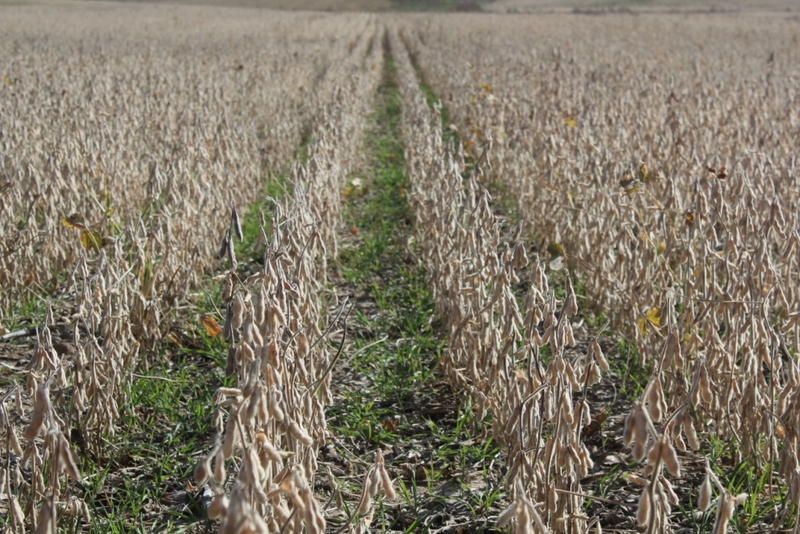 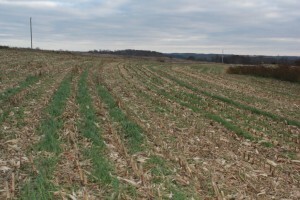 Several different species, such as oats, cereal rye, rye grass, and tillage radishes, may be used as a cover crop and are typically planted in the fall after the corn and soybean harvest. 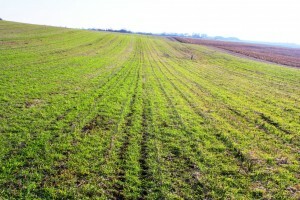 Depending on the species used, they will grow until they are winter killed or terminated by herbicide or tillage in the spring. 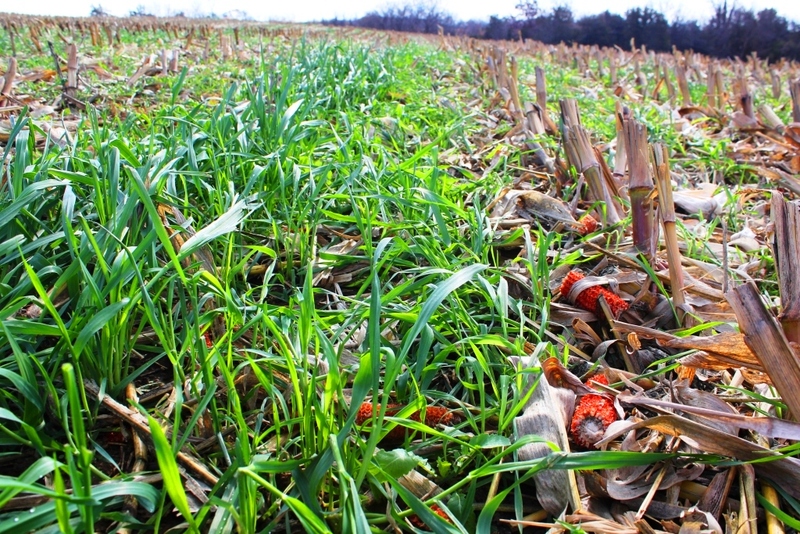 To achieve the full benefits of cover crops they must be planted early enough in the fall to ensure they have sufficient time to grow prior to a hard freeze. 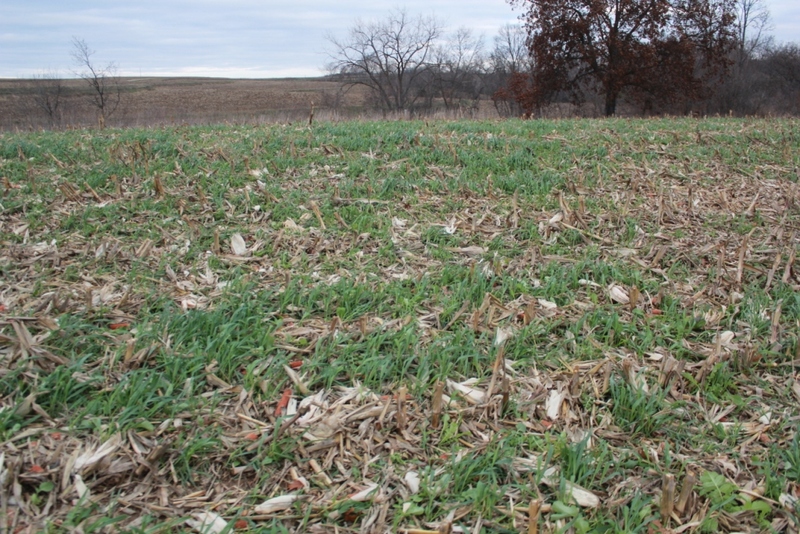 Unfortunately, in this part of Iowa, if a producer waits until after corn or soybean harvest there may only be 2-3 weeks available for the cover crop to grow before a hard freeze kills the cover crop or stops growth until spring. 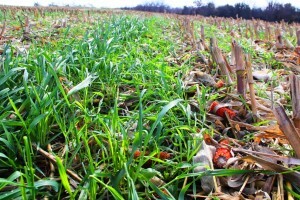 Interest in cover crops has rapidly grown over the last few years as area producers began looking for alternative cover crops after harvest. 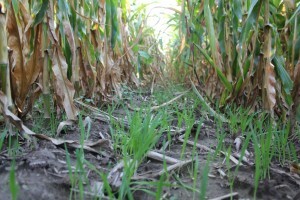 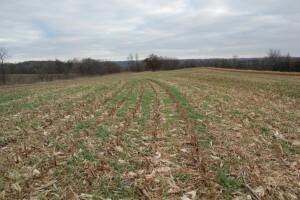 The Allamakee SWCD (SWCD) recognized this need and initiated a program to aerial seed cover crops in August 2012. 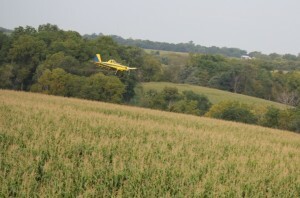 The cost for the aerial application was $15/ac with a 10 acre minimum. 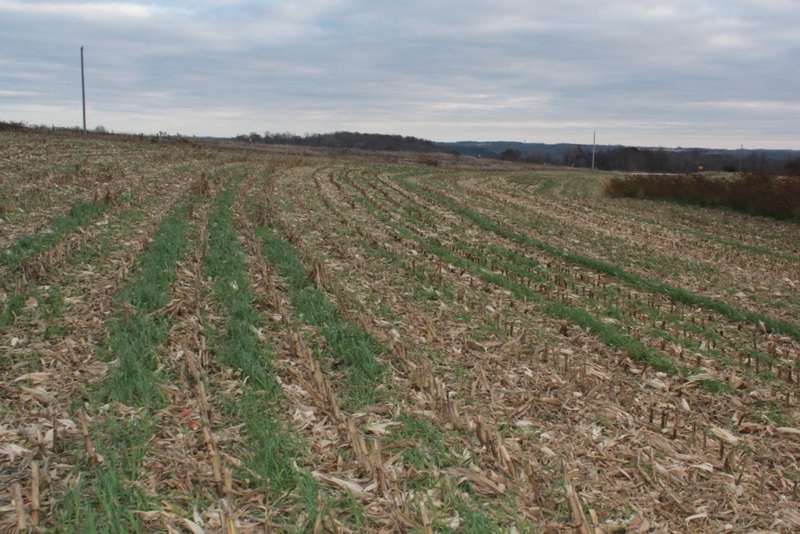 The service was offered in Allamakee, Clayton and Winneshiek Counties with a total of 1,514 acres seeded into standing corn and soybeans from August 22 to August 27. 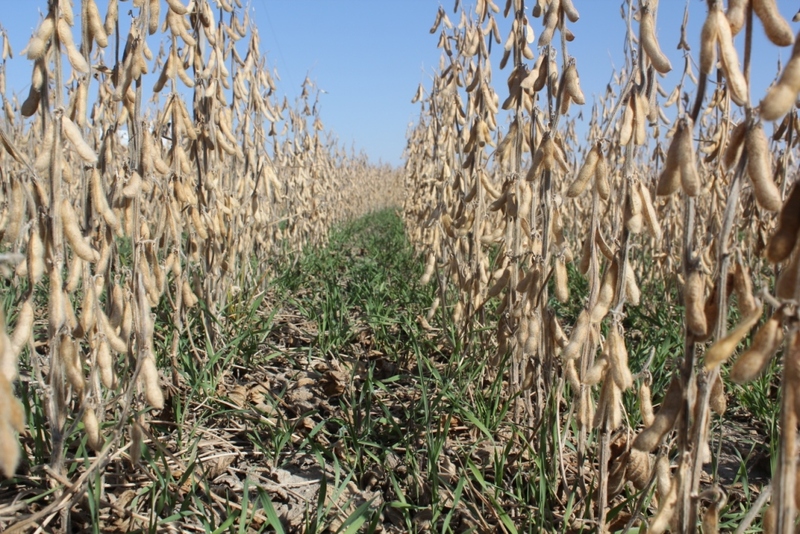 Hall Robert’s Son Inc. mixed the seed and delivered it to the Waukon, Decorah, and Monona airports where the seed was loaded onto the plane. 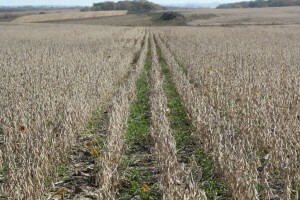 Depending on the mix used, 35-100 acres could be seeded with each load and about 60 acres could be seeded per hour. 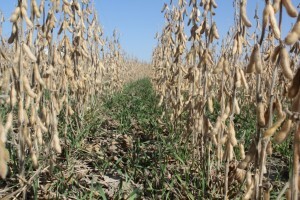 The plane was equipped with a GPS navigation system, flew 40-50 feet off the ground, and only flew when wind speeds were less that 10 miles per hour to ensure an accurate delivery of the seed. 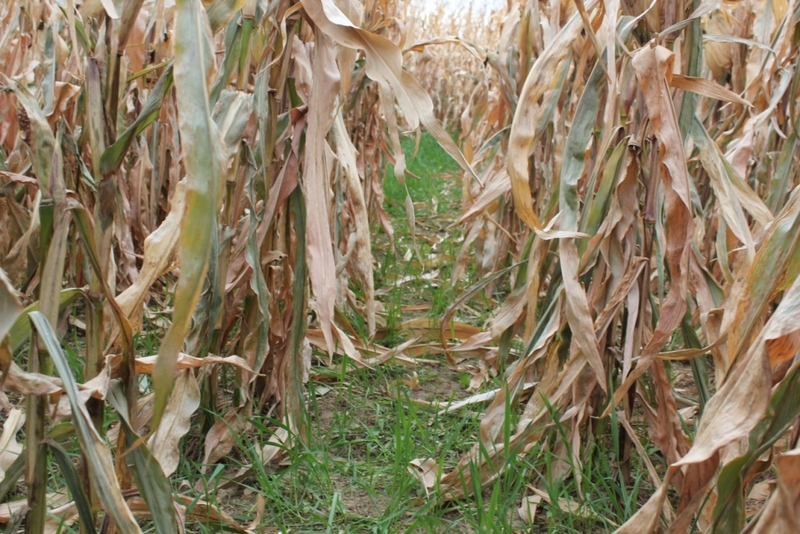 Seed counts were completed in standing corn to alleviate concerns of the seed being caught in the corn canopy. 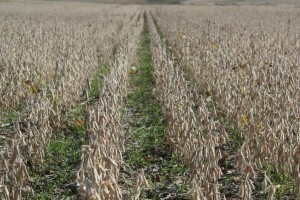 Counts were completed on the 2 bu of winter rye mix and the oats and tillage radish mix. 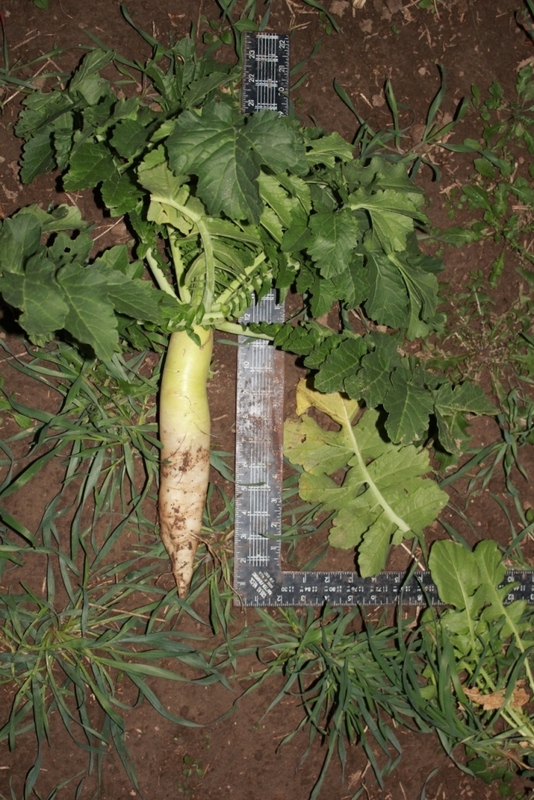 There was an average of 22.3 winter rye seeds per square foot and 20 oat seeds and 2.9 radish seeds per square foot. 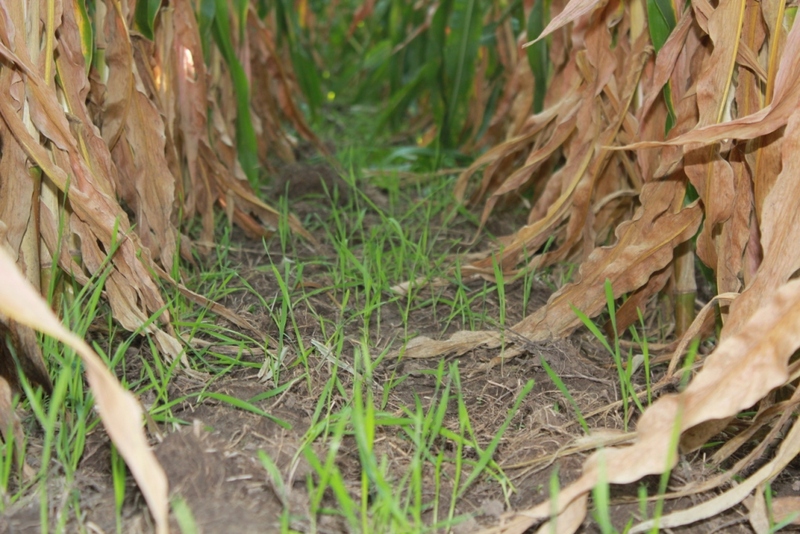 Some seed was observed on the corn leaves, but most of it had fallen to the ground within a few days. 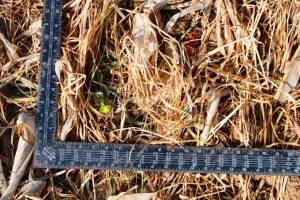 The distribution of seed appeared to be very uniform across the fields that were checked. 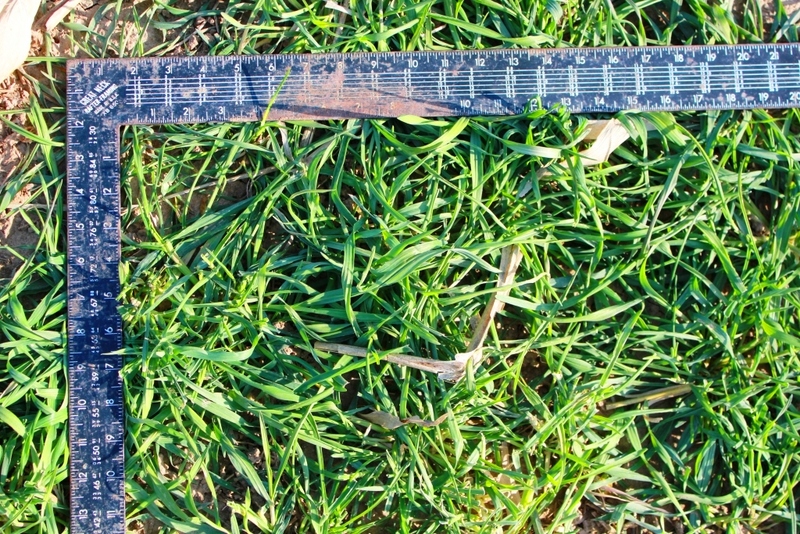 Approximately 10 days after the seeding was completed, a rainfall of 1 to 4 inches over 2 days occurred over the entire area. 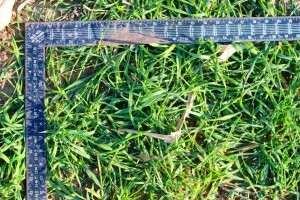 Germination was observed within 2 days of the rain fall event. 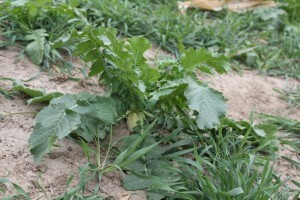 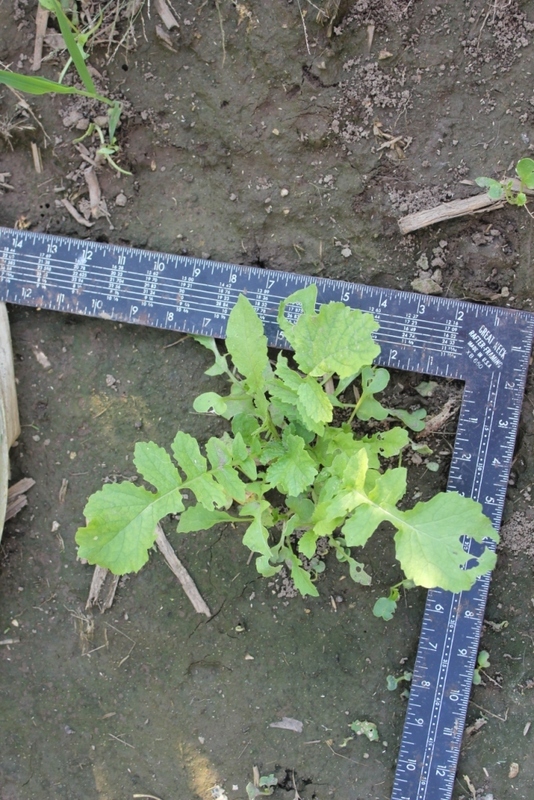 Ten days after the rainfall, the oats and winter rye were 4-6 inches tall and the radishes were at the second leaf stage. 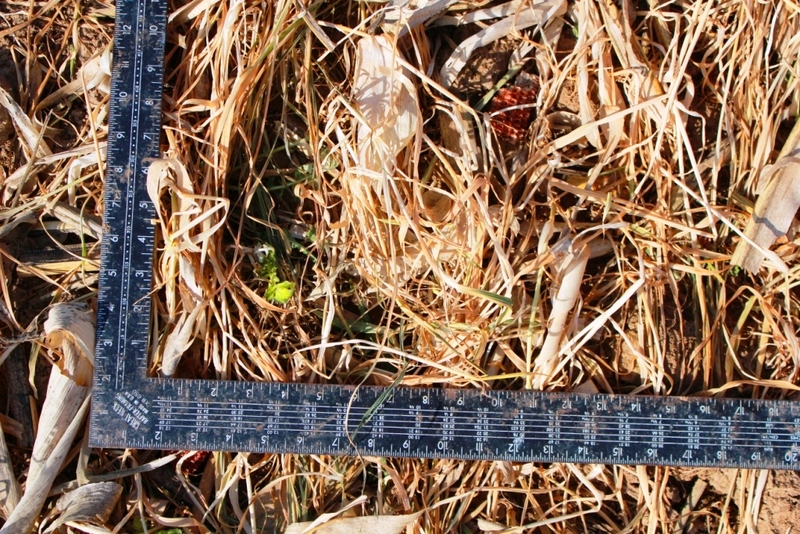 Seedling counts were completed on September 15 in standing corn on the winter rye and oat radish mixes. 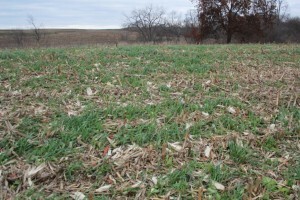 The winter rye mix averaged 11 seedlings per square foot. 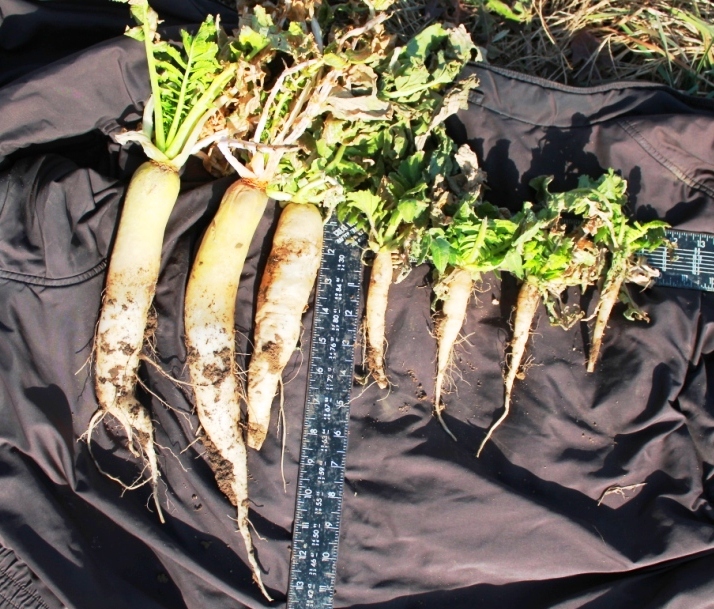 The oats and tillage radish mix averaged 15.9 oat seedlings and 1.7 radish seedlings per square foot. 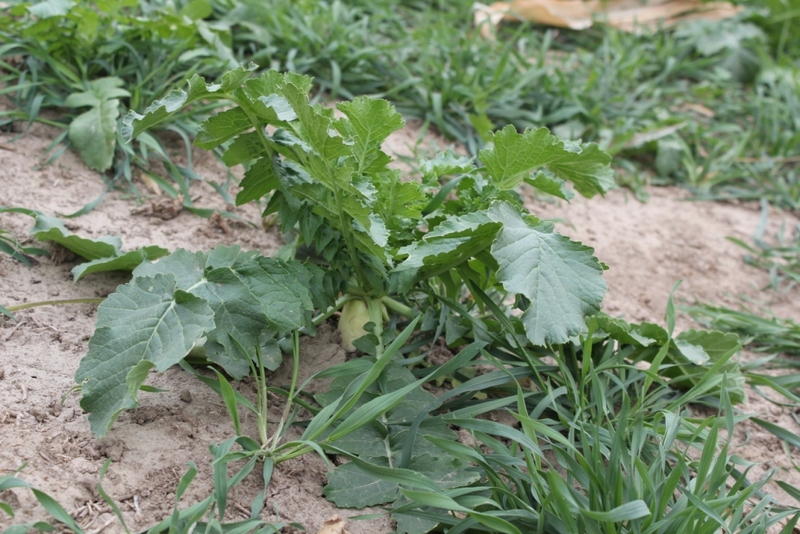 The number of seedlings is less than the seed counts because not, all of the seeds had germinated or had been moved or consumed by seed predators. 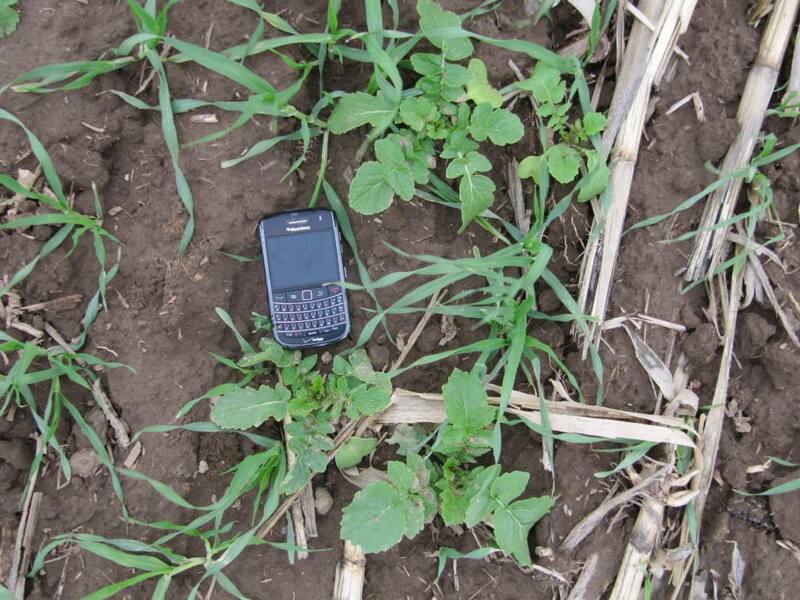 Stand counts will be completed on all the mixes after harvest to evaluate the seeding rates and advise changes for next year. 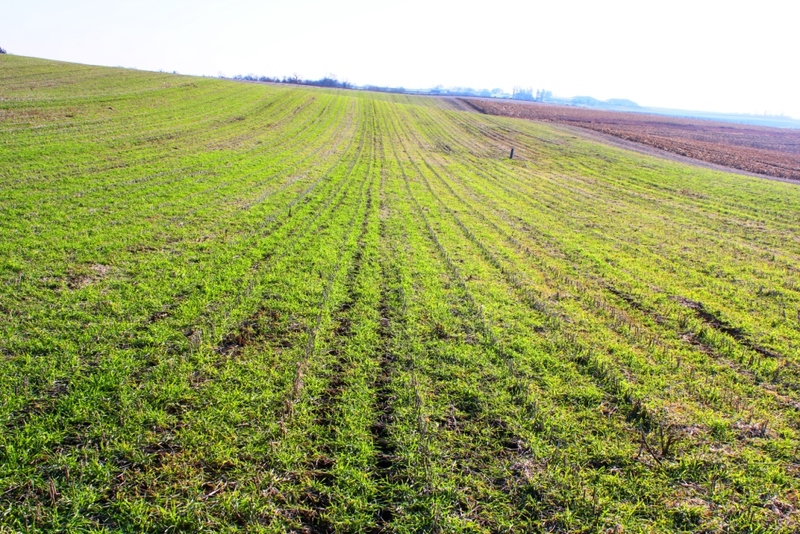 The initial results from this program are encouraging and, if there is sufficient interest, we will offer the program next year. 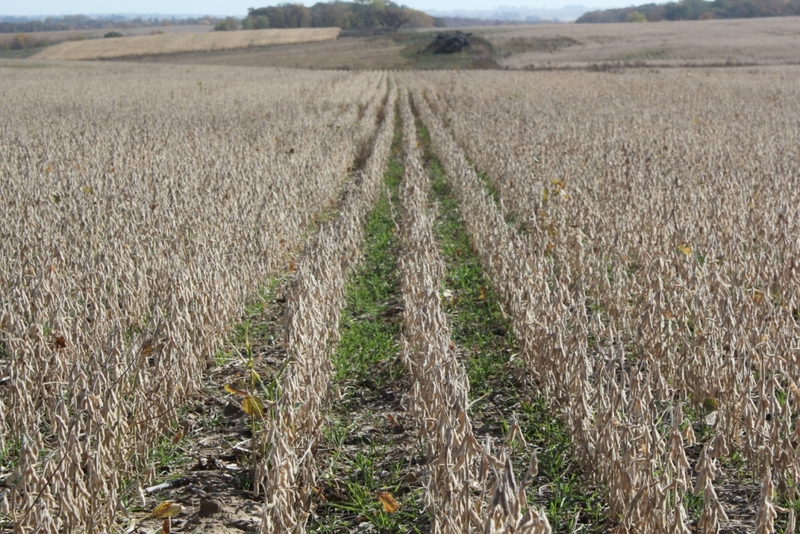 If you are interested in adding cover crops to your operation, whether through aerial seeding or conventional methods, please contact us to discuss what cover crop options will meet your objectives and update your conservation plan. 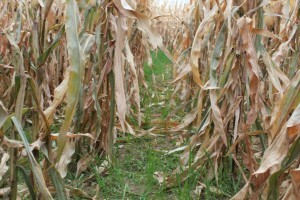 Cost share assistance may be available through several State and Federal programs. 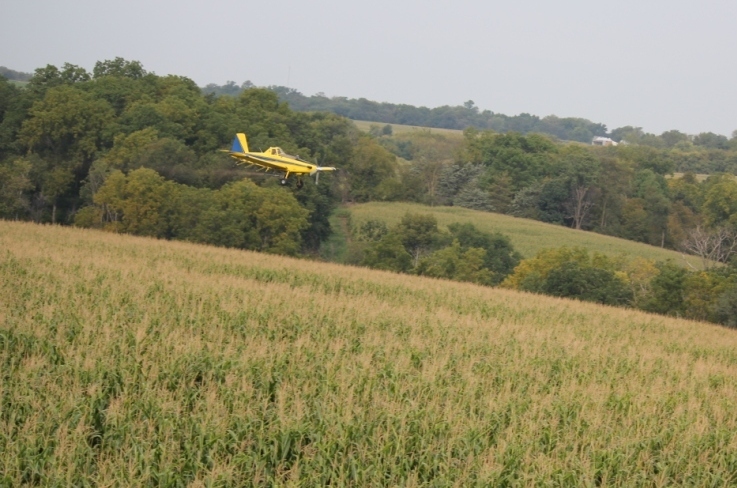 The Allamakee SWCD would like to thank the Waukon, Decorah and Monona airports, Hall Robert’s Son Inc., and Klinkenborg Aerial Spraying for their cooperation in this effort. 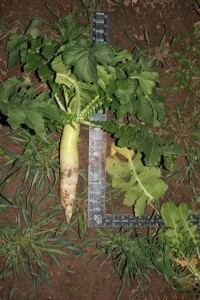 The photos shown below are taken around the area at different fields. They were all seeded within a few days of each other. 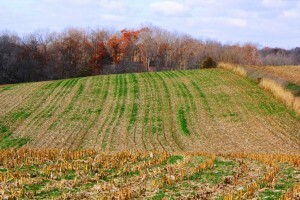 To see a larger image, click on the photo. 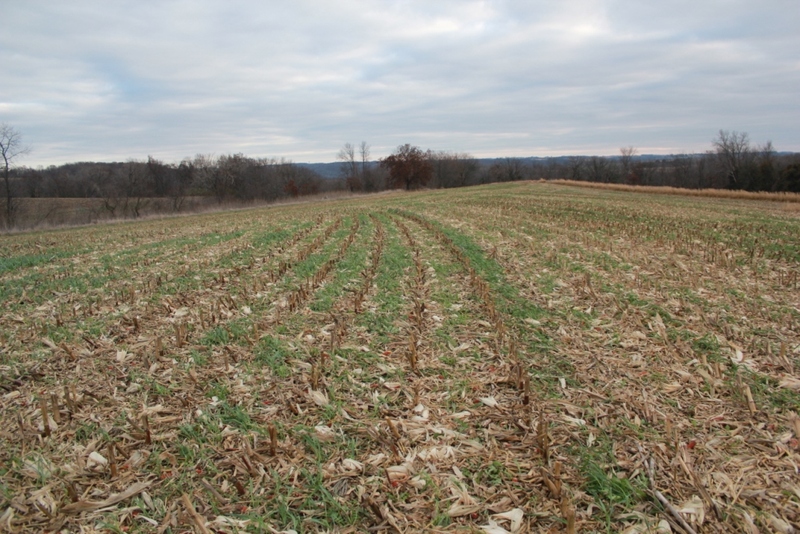 Photos taken by Jacob Groth, Soil Conservationist for NRCS in Allamakee County.